See the River View Garden Resort’s varied and unique rooms nestled among majestic redwoods at the edge of the Russian River.Located in the small town of Monte Rio, the resort is a one and one-half hour drive north of San Francisco, and four miles west of Guerneville. “Vacation Wonderland” is a historic resort village set in the redwoods along the Russian River. Monte Rio’s dog-friendly public beach attracts hundreds of visitors and locals alike. 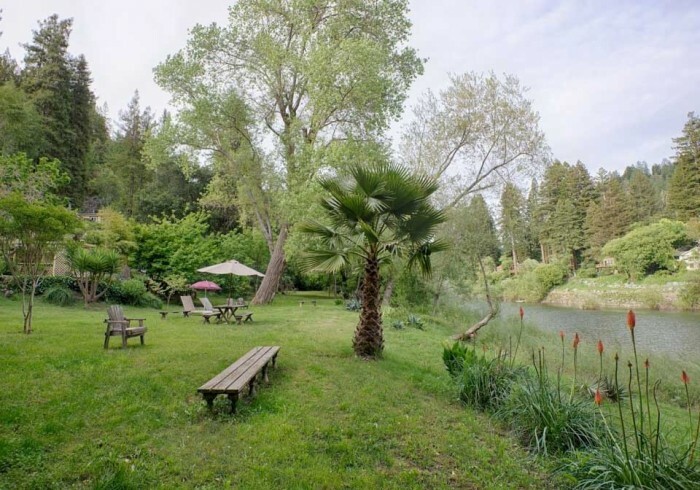 Our beautiful grounds slope down to a small sandy beach on the Russian River. Enjoy our gardens, relax on the deck, nap in the shade of a tall redwood, or launch your kayak from our Monte Rio hotel.